KUALA LUMPUR (May 25): Malaysia has changed its mind on introducing generic plain packaging for tobacco products after succumbing to the pressure of the tobacco industry and lobby groups, a lawmaker claimed today. Klang parliamentarian Charles Santiago said Health Minister Dr S Subramaniam had responded to his question in Parliament on plain packing by saying that the ministry was not prepared to proceed with the plan without public consultation. "This clearly shows the government has backed off from its original position and reversed the plain packaging policy itself — from a specific plan and strategy on implementation to public consultations," Charles said in a statement. Charles noted that on Feb 24, the ministry's disease control division director Dr Chong Chee Keong indicated that the ministry plans to implement plain packaging with the aim to reduce brand recognition and ultimately reducing overall consumption. Chong even suggested that the ministry would use standardised colours and fonts in stages, suggesting that they had an implementation plan and strategy for the plain packaging, said the lawmaker. "It's obvious that Subramaniam has buckled under pressure from the tobacco industry and lobby groups such as the Confederation of Malaysian Tobacco Manufacturers (CMTM), Japan Tobacco International (JTI), Phillip Morris Malaysia (PMM) and the Asean Intellectual Property Organisation. "These groups have cautioned the government that introducing plain-packaging would violate international trade laws, undermine Malaysia's business-friendly image besides leaving the country open to be sued at international arbitration tribunals. "And the government has caved in under pressure from these groups and completely ignored pro-health views," said Charles. He said it was unacceptable that the ministry chooses to ignore the opinion of health groups and instead listen to business corporations when its duty is to protect public health. "It is shameful that the ministry can shirk its public responsibility in favour of profits. "The question that emerges now is whether public health polices will continue to be hijacked by big business interests at the expense of the rakyat," he said. Britain introduced plain packaging legislation last week, joining Australia, France and Ireland in implementing generic packaging. This was despite strong opposition from the tobacco industry. Over in Malaysia, JT International Bhd warned that introducing plain packaging would offer opportunities for counterfeiting of legal products. 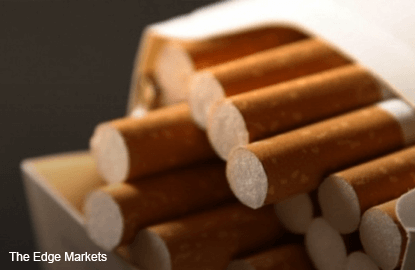 Claiming that Malaysia has one of the highest illegal cigarettes rates in the world, the company's general manager Guilherme Silva told The Edge Financial Daily in early March that plain packaging could further prompt consumers to buy illicit branded packs.